The Ultimate Fighting Championship (UFC) has been one of the most exciting developments in martial arts in the past few decades because it brought together people and unique fighting styles. As a result, we have all seen some absolutely brilliant and perhaps crazy things happen in the octagon. These instances stand as a testament to the absolute power of the people that enter into the ring and their desire to dominate. Let’s get right into this one, folks. Now, a lot of people don’t think that this record is important enough, but come on. While Georges St- Pierre had 12 overall defences, they included interim belts; he only had 9 total title defences. Anderson Silva had to deal with 10 straight title defences while he was reigning over the Middleweight division in the UFC for years. 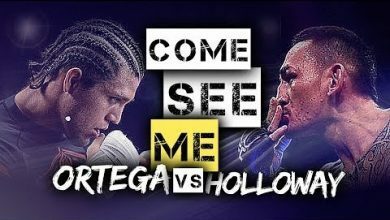 It may be some time before we see DJ defend the belt again, as he recently lost to Henry Cejudo by decision at UFC 227. Alright, 9 seconds into most fights and the guys are still sizing each other up. Back in UFC 6, though, Oleg Taktarov caught Anthony Macias in a guillotine choke and had him submit in only 9 seconds. That might not even be the craziest part of the story. You see, this was back in the day when you would have multiple fights in a single outing. This was his second fight of the night, and Tararov still had one more to do afterwards. 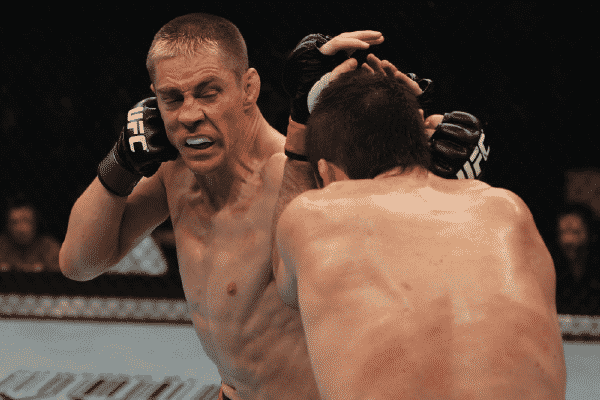 All apologies to Duane Ludwig who may or may not have actually had the title locked down in UFC Fight Night 3. He managed to knock out Jonathan Goulet in six seconds, but according to official time keepers the fight did not end until 11 seconds. Still though, it's kind of accepted that he's the man behind UFC's fastest knock out, so hats off to him. Thus, we have a three-way tie between Todd Duffee, Chan Sung Jung, and Ryan Jimmo who each pulled off the feat in a mere 7 seconds. No matter what, it is impressive to score a KO that quickly. We like to watch MMA because there is always the possibility that a fight will be over before it really begins. 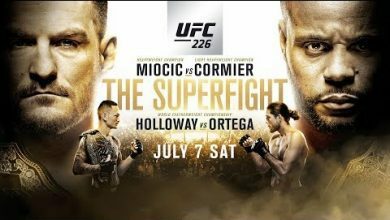 While we hate paying for less than a minute of entertainment, the anticipation is completely amazing in most of these title fights. In the case of Conor McGregor and Jose Aldo, the title fight for the Featherweight championship took just 13 seconds. 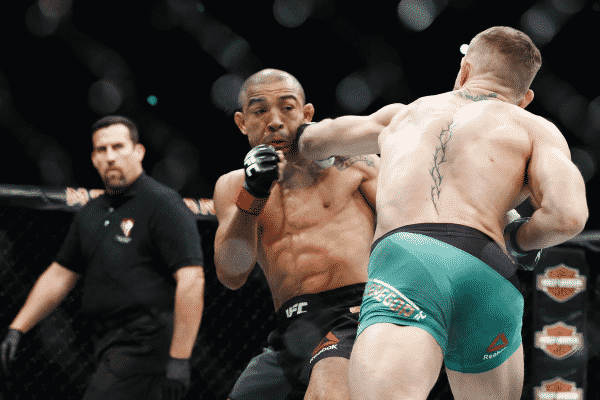 Conor McGregor threw a punch that knocked Aldo unconscious out, and hammered home the victory in less time than it takes most people to buy rights to watch the fight. This incredible display knocked Ronda Rousey off the top spot, who previously held the record at 14 seconds. 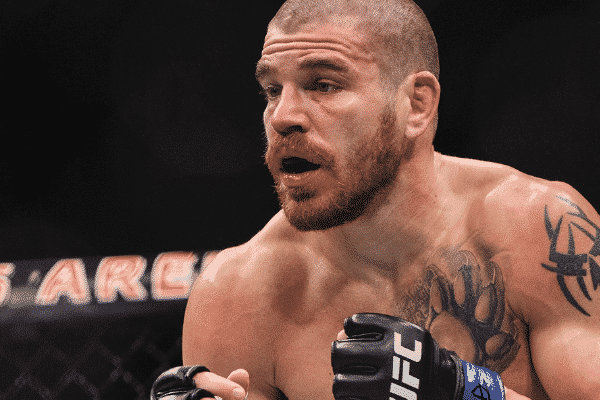 Jim Miller might have fallen off the radar in some people’s minds, despite the fact is that he has fought in 30 matches in the UFC and also had the most wins in the lightweight division with 17. He also recently claimed a victory over Alex White at UFC 228 via a first round submission, so don't count him out just yet. This very recent record shows the strength and determination of a person to climb into the ring that many times knowing that they are about to give the fight everything they have. 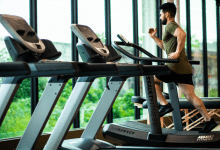 The record is closely followed by Michael Bisping and Jeremy Stephens, who have both competed in the UFC 29 times. Bisping is now retired, leaving Jeremy Stephens one fight away from joining the top stop with 30 UFC Fights. I'm sure it's not too long until we see Stephens hit the 31 mark, as he'll be wanting redemption from that 2 round TKO he suffered at the hands of Jose Aldo. 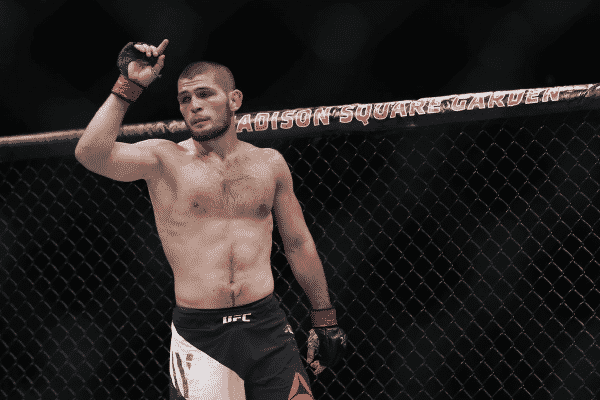 Khabib Nurmagomedov sent Abel Truijilo to the mat a total of 21 times at UFC 160. 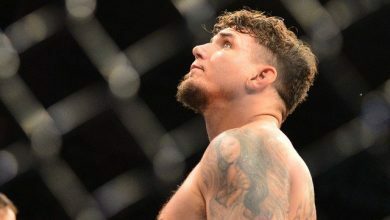 This impressive feat was made even more impressive by Trujilo’s desire to keep getting back on his feet to fight after each time he was slammed back down to earth by his fearsome opponent. It was clear that Nurmagomedov was in control throughout the fight like he has been throughout most of his lengthy career. He'll soon face his biggest test yet as he faces off with Conor McGregor at UFC 229. 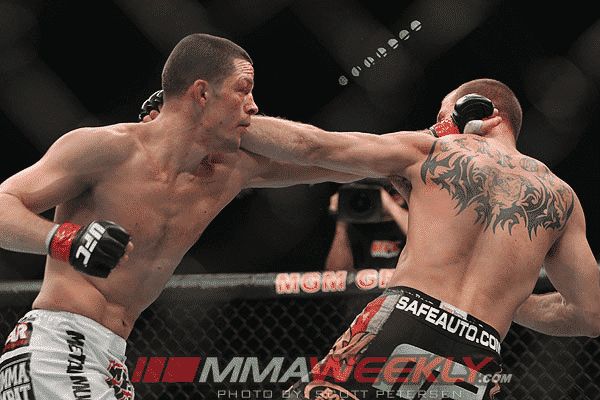 Nate Diaz is known for his high energy and striking, and he unleashed that on Donald Cerrone during their UFC 141 match. Everyone knew that it was going to be havoc when those two entered the ring, but in the fight’s 15 minutes, Diaz landed a blistering 238 significant strikes. While Diaz’s performance was the stuff of legends, Cerrone did manage to take many blows and keep himself upright which is impressive in its own right. 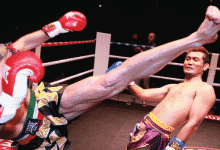 Some fighters win by going for quick knockouts and others by prolonging the pain for as much time as possible. Frankie Edgar is the latter, having participated in 24 matches that were absolutely grueling in some cases. 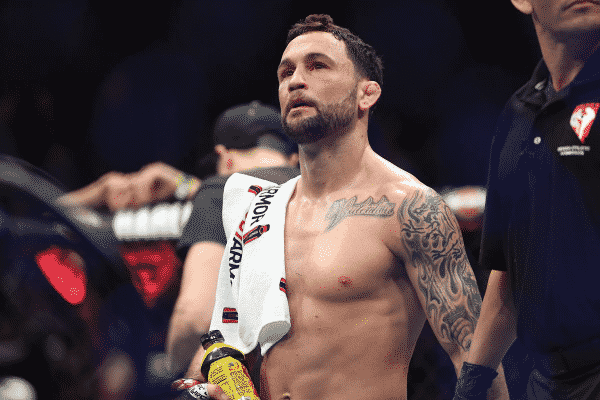 Not only is he a great martial artist, but Frankie Edgar has some of the most impressive fights that you are going to see in modern combat sports. His fights often go the distance or pretty close to it before he takes out his opponent, earning him long and drawn out bouts. Keep an eye on this number because Edgar still has a lot left in the tank. 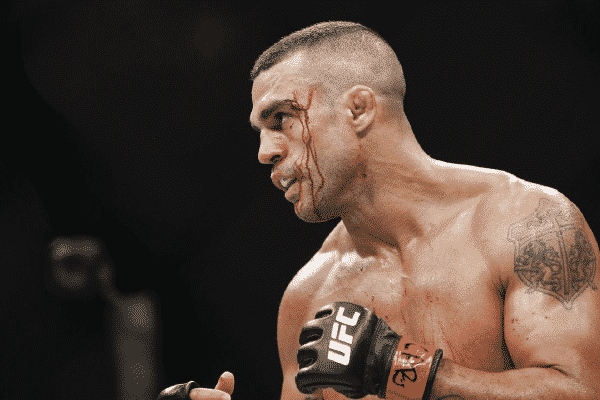 Vitor Belfort’s name is not one that is thrown around lightly. 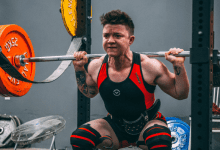 The man has been active in MMA bouts since 1996 and just retired in May 2018. Sure, he was around long enough to secure this record, but it was his absolutely devastating striking power that helped him drop 12 people to the canvas. That does not even include the other 6 people he took out in other fighting competitions. Now, he is hopefully going to enjoy a well-deserved retirement. 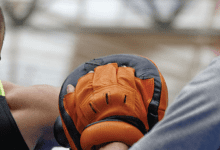 Why do we love MMA? 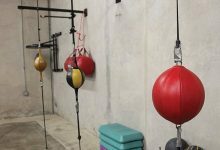 Because it is exciting and shows us what peak physical conditioning can do when paired with Martial Arts at the highest level. These records show the commitment and ability of the best fighters out there today. Many of these records are not going to stand for many years, but we have certainly enjoyed listing them for you here. Feel free to drop us a line and let us know what you think. Thank you for reading and we hope you enjoyed this list of MMA records.